On Ringo Lake is ready to sew into rows. All laid out on the floor, way to big for my design wall! 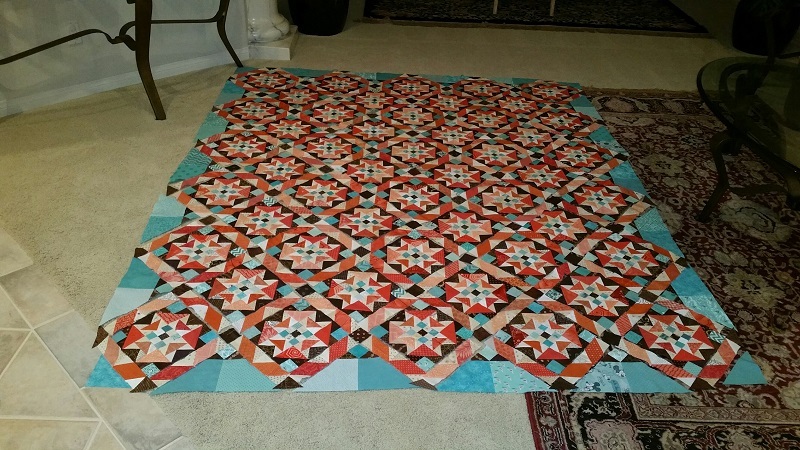 This is another of Bonnie's quilts where you need to be careful of laying out all the pieces correctly and to also make sure they do not get turned during sewing. ORL ready to sew the rows together! I am really happy with this mystery and the way it is all coming together. On Ringo Lake Mystery is now retired, but you can purchase the pattern on Bonnie's Blog. 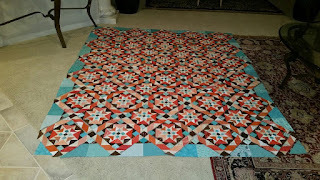 Check back soon to see my progress and the completed quilt!